Dr. M. Raafat El-Gewely currently is Professor Emeritus, Institute of Medical Biology, U. of Tromsø, Norway. Professor of Biotechnology, Inst. of Medical Biology, U. of Tromsø, Norway, July 1988-July 2012 (Appointed by king Olav of Norway); Director of Biotechnology Center, University of Tromsø 1989-1999, Assoc. Research Scientist, Department of Biological Chemistry, U.of Michigan Medical School. Ann Arbor, Michigan1983-1988; Visiting Scholar, Dept. of Cellular and Molec. Biology, U. of Michigan, 1977-1983. Visiting or Adjunct professor at U. of California Medical School, San Diego (UCSD). Aug. 2008-Aug. 2009; Institute for Systems Biology (ISB), 1441 North 34th Street, Seattle, WA 98103-8904 Sept. 2003- Sept. 2004; Adjunct Professor, Dept. of Biotechnology, U.of Aalborg, 9000-Aalborg, Denmark 1997-2002; Dept. of Microbiology and Immunology, Medical School, U. of Michigan, Ann Arbor, MI 48109- 0620, Aug 1998 to Aug 1999; Dept. of Biological Chemistry, Medical School, U. of Michigan, Ann Arbor, MI 48109-0606/ Aug.1992 to Aug. 1993. Chief Editor, “Biotechnology Annual Review" (1995- 2009). Elsevier, Amsterdam. Netherlands. http://www.sciencedirect.com/science/bookseries/13872656. Reviews Editor New Biotechnology (2008-2015): Elsevier, Amsterdam, Netherlands. 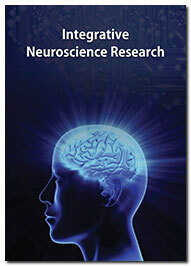 http://www.elsevier.com/wps/find/journaleditorialboard.cws_home/713354, B.SC. Alexandria, PhD in genetics, U. of Alberta, Edmonton Alberta, Canada in 1971, Post doctorate, McGill University, Montreal, Canada 1971-1973. Assistant professor Genetics (1973-1977. 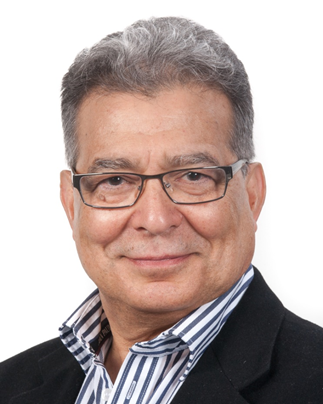 Prof. El-Gewely has extensive research experience in in molec. biology & recombinant DNA and genetic & protein engineering technologies with numerous publications. Developing therapeutics using a novel alternative approach to gene therapy and genetic control of protein folding (patents). Focused in the utilizations of recombinant DNA, genetic & protein engineering and genomics in the translational applications in medicine. Molecular Biology, Recombinant DNA, Genetic & protein engineering technologies.